Global star Priyanka Chopra and American singer Nick Jonas entered the wedlock in Jaipur recently. The wedding was a grand affair which was attended by the Bollywood and Hollywood celebrities. 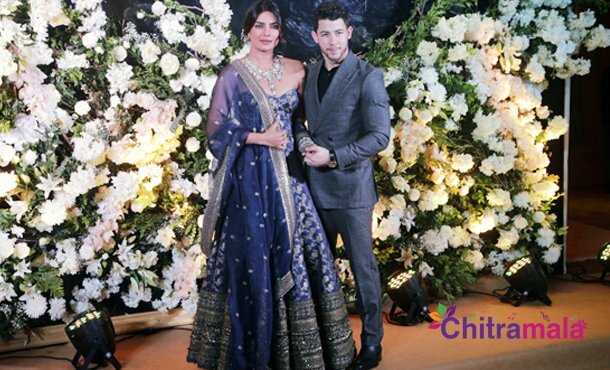 The hot couple organized a dinner event for Mumbai film personalities yesterday in Mumbai where Priyanka introduced Nick to everyone present in the event. At the event, Priyanka made a statement after her arrival saying, “I am happy that you people have graced this occasion. This is an important phase in my life. Here, I present you, Nick Jonas, my husband.” said Priyanka Chopra in a video which is doing rounds on the social media. Nick Jonas too sarcastically said, “This is my first show in India.” and it brought laughs at the occasion. The couple later extended their thanks to the media, celebrities, friends and family members for gracing the occasion.